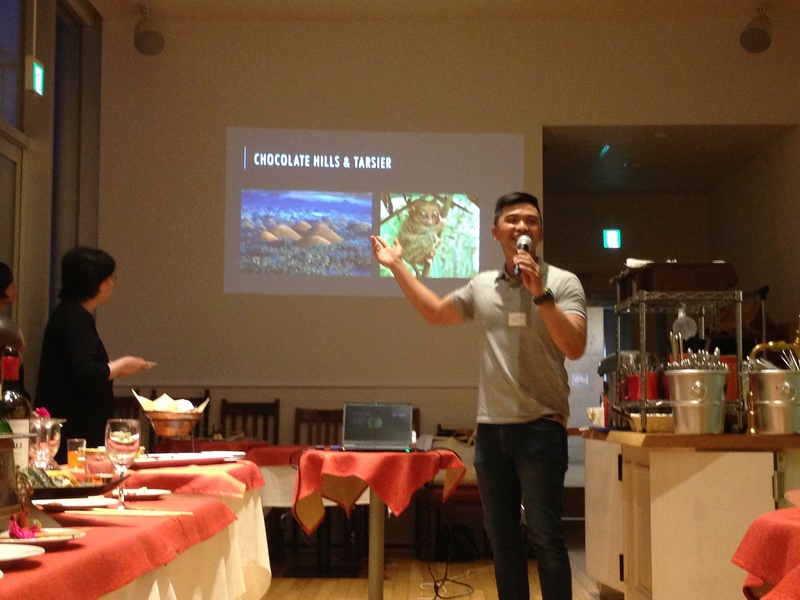 Our annual party will be scheduled on 19 October 2019, Saturday in Tokyo for this year. It is our great pleasure to welcome you as new members. We invite all graduates automatically and inclusively for ‘leave no one behind’. 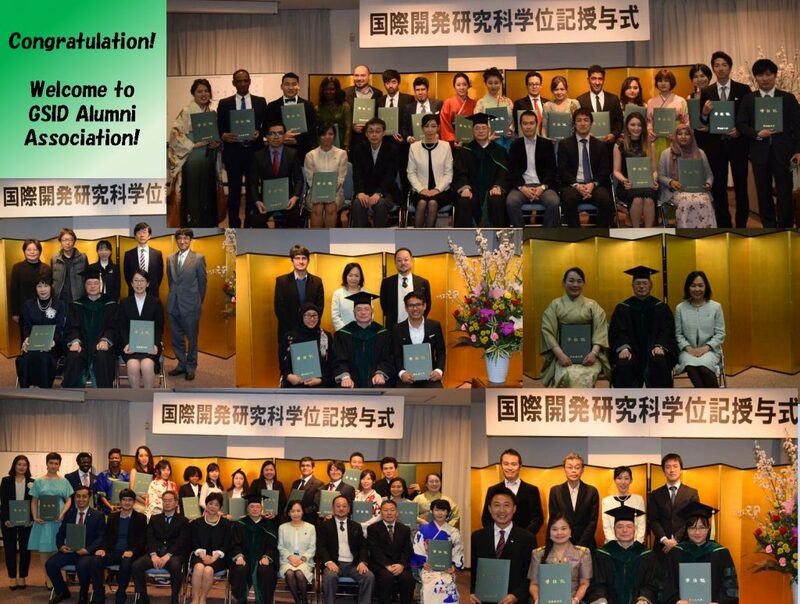 The GSID, Alumni Association, Nagoya University (GSID-NUAL) was established in 2000, cooperating with Nagoya University Alumni Association (NUAL) for our whole university. This association aims at mediating between the alumni and current students, networking of alumni and affiliated faculty members in the world for the development of our alma mater. It persuades t to contribute to peace and develop of the world in peace. We wish your success of career and life! Please stay in touch and hope see you at our reunion in Nagoya and Tokyo, and/or somewhere in the world! President, Professor Masato Noda　(1996 in Ph.D. course, DID). GSID Alumni Association is happy to welcome you all. The following list shows those who contributed us on Graduation Day. We would like to express our best appreciation. Thank you so much for your support! Ms. RESUELLO Marjorie, a D1 student at GSID, is awarded the GSID-NUAL Grant 2018. The title of her program is as follows. 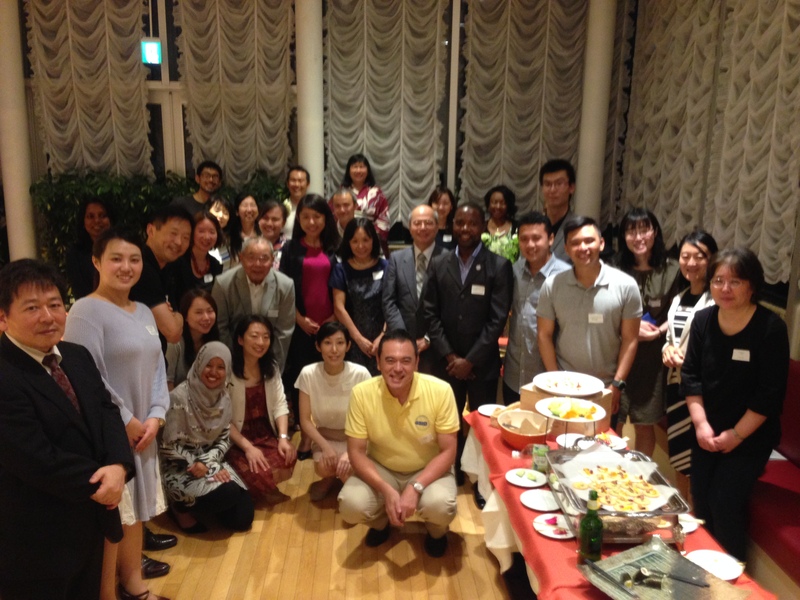 The Graduate School of International Development, Nagoya University Alumni Association (here after GSID-NUAL) was established with the goal of linking the alumni and current students while building a network of the global professional GSID-NUAL. 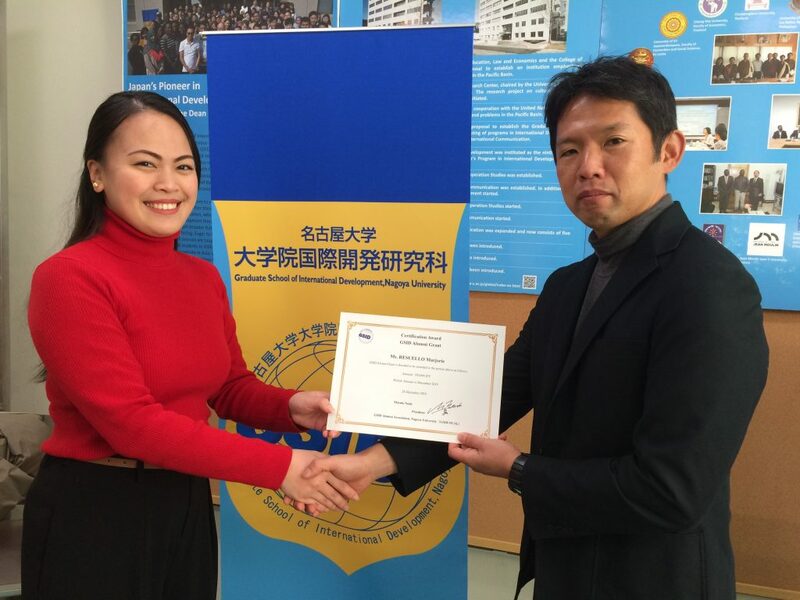 In this regard, we are committed to starting a “GSID-NUAL Grant Program” to support GSID students’ multidisciplinary research ,social activities and alumni development activities by making use of the association fee collected from the members. Among the applications made, we will nominate a project (s). Application deadline is October 14, 2018. Please contact alumni@gsid.nagoya-u.ac.jp for details. We look forward to receiving many applications. We are pleased to have Dr. Ron Bridget Vilog, the winner of 2017 GSID Alumni Association Grant program to present his conference on July 7, 2018. There were many GSID alumni gathered at his conference on June 30, 2018 in Philippines. Congratulations on the great success! We would like to hold GSID Alumni Gathering as the schedule below. Bank account: You may pay on site, but we would appreciate your bank-transfer to the account below in advance. Registration: The deadline is 29 June, 4PM. I would like to attend GSID Alumni Gathering on 7 July, 2018. On coming 7 July 2018, Saturday, we will organize the General Assembly and Annual Party. Please save the schedule and join it with your old friends. As you may receive the email from the secretariat, this is the day of Open Campus 2018 and GSID Symposium to celebrate reborn GSID. In Japanese culture, 7 July is the special day of ‘reunion’. Japanese celebrate ‘Tanabata’, the Star Festival. On the day, Alter and Vega enjoy reunion on the Milky way once a year. Wish to see you there.